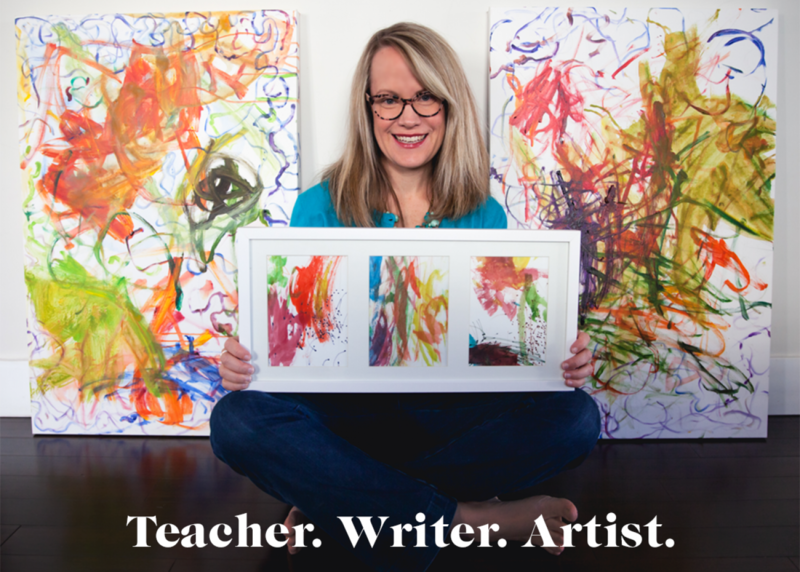 Lisa Bush – Teacher. Writer. Artist. It is the role of the creative ‘adventurous-spirited’ teacher to create and foster relationships with the highly creative child. Five years ago, when I was pregnant with my first child and teaching full-time, I started re-evaluating the need for wellness in my life. As a middle school Language Arts teacher with a heavy marking load, this was not an easy task. I knew that my workload was draining me, my work life balance had no balance at all, and that I needed to pursue a healthy quality of life. This began my journey into revaluating my own teaching practices and making wellness a pillar of my life. If we want to be the best possible version of ourselves, we must put our wellness as a top priority. We must view wellness as essential to our productivity and longevity in the teaching field. And we should strive to work in an environment that honours the health and wellness of its teachers. Look at it this way: emotions are contagious. A school full of joyful, passionate, creative, and empowered teachers would directly benefit the students and community that is serves. As educators who affect the lives of children in a very real and direct way, we have to stay strong. We have to stay healthy. We have to stay positive and compassionate. And at the heart of all of this is wellness. If we are going to energize and inspire our students over the course of decades, we must make our mental and physical health a top priority. How healthy, empowered teachers lead to thriving, successful classrooms. “Lisa Bush’s Teaching Well is nothing short of a manifesto, and is an essential read for all teachers, administrators, and superintendents of today’s schools.”—Tyler Perry, English Language Arts teacher and author of Lessons in Falling. “A must and no-nonsense read for teachers striving for their personal wellbeing and student success and school administrators who want to be great mentors for their teachers!”—Mary Ann Danowitz. D.Ed. Dean, College of Education, North Carolina State University.